After its chronograph with dial-side rotor and a collection in honour of the solar deities, Frédéric Jouvenot is back in the spotlight with an unprecedented, patented complication that adds a whole new dimension to the power-reserve indicator. This technical exploit is the aptly named Tour de Force. 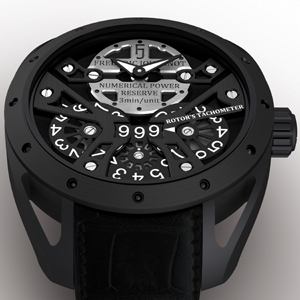 For the first time ever, a timepiece records the number of rotations of the oscillating weight and indicates units of power reserve at the same time. Three discs displaying three large numerals in a window occupy the bottom half of the dial. Each time the oscillating weight makes one rotation, the power reserve advances by one unit. The owner of the watch sees the figures change with each turn of the oscillating weight… all the consequence of his own movements. When the display shows 999 rotations, the power reserve is at its maximum. If the owner isn't wearing his watch, meaning the oscillating weight is stationary, the power reserve diminishes unit by unit. 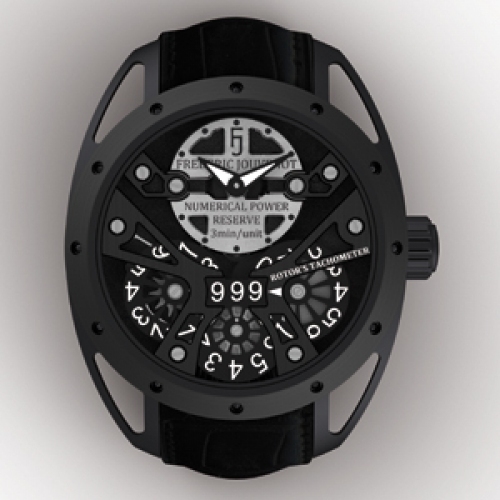 Once the oscillating weight indicator shows 000, the power reserve is completely depleted. Naturally, such impressive mechanics come wrapped in an innovative design. 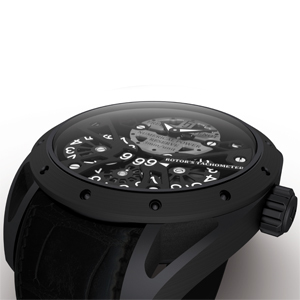 The lugs are slightly rounded to follow the natural curve of the wrist. Also, the inside of the lugs is cut away for lightness and to create an even more contemporary style. 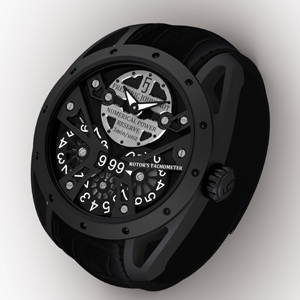 The absence of a dial focuses attention on the exceptional and truly original three-dimensional layout.